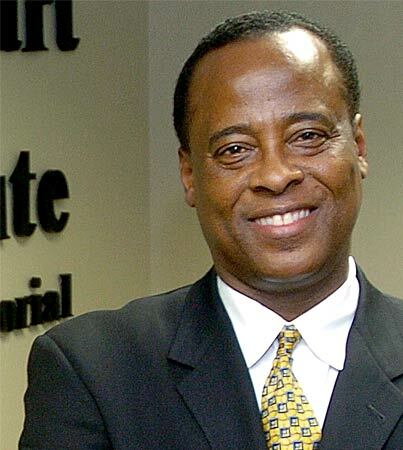 The Medical Board of California will immediately ask the judge in Dr. Conrad Murray’s preliminary hearing to suspend his medical license if Murray is ordered to stand trial. Judge Michael Pastor is most likely to rule within a week whether there’s enough evidence to warrant a manslaughter trial in the death of Michael Jackson. Given the mountains of evidence presented against Dr. Murray this week the judge is most likely to order a trial. The lawyer for the Medical Board, who has been sitting in the courtroom will ask Judge Pastor to suspend Murray’s license the instant a trail is ordered. This will be the third attempt by the Board to suspend Murray’s license. Murray is already prohibited from administering “deep anesthetics,” including Propofol the drug that killed Michael Jackson and which Dr. Murray ordered by the caseload in the weeks before MJ’s death. Once California suspends Murray’s license the medical boards in Texas and Nevada are likely to do the same. Sources connected with Murray say he is enraged that the Board is trying to suspend his ability to practice medicine since then it will be impossible to earn money to pay for lawyers to defend him. Isn’t life just so unfair… . What does Dr. Murray expect – that while he is on trial for manslaughter caused by his faulty practice of medicine he should be allowed to practice more medicine?? ?